Meet Magento is a common name for community-driven events that help this ecommerce platform a great deal with internationalization and market growth. 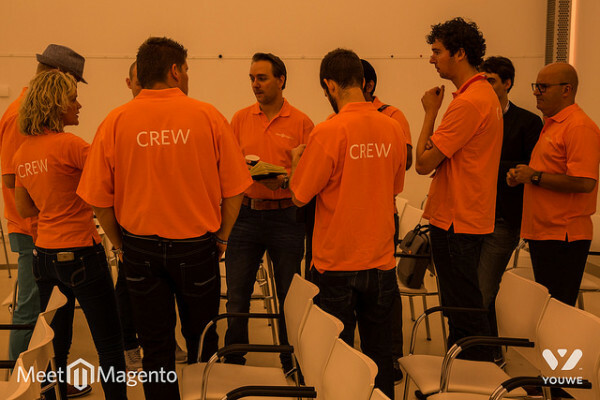 Over the last couple of years we’ve seen many new countries join in, while the Dutch stay in front – they were the first ones in Europe to organize a Meet Magento back in 2009 and they never looked back. This year we were there as well, so here’s a quick recap of what went on in Utrecht in late May 2014. #MM14NL (since all of these events have their respective hashtag) took place in Utrecht on May 21 and 22 with some 150 attendees on day 1 and 350+ on day 2. The first day saw the “locals” and “internationals” split in half as the agenda was in Dutch and at the same time a group of developers that gathered around Ignacio Riesco and Damian Luszczymak organized a hackathon (after all, when you put a lot of Magento developers in the same room, how best to channel the energy than into some extra code). 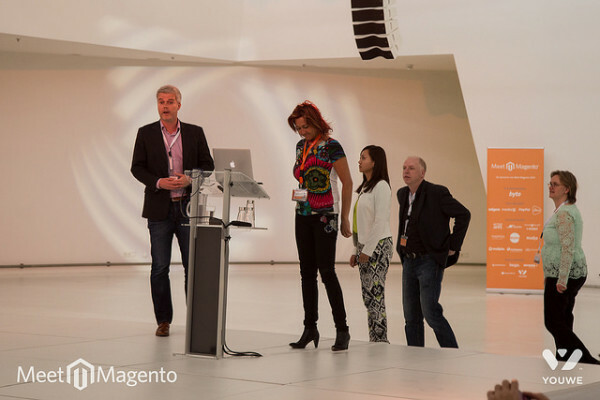 The official agenda comprised of a mixture of Magento partner presentations and case studies of successful implementations on the Dutch market. It was aimed primarily at those who are not that familiar with Magento or its abilities, so more of a pitch for the local market. I wasn’t there for most of this part (for obvious reasons, my comprehension of the Dutch language equals that of an online marketing guru trying to find his way around Magento code), so I’ll trust the smiling faces of the people exiting the main room. The second day of the conference was more vibrant, it consisted of many interesting presentations and workshops and was aimed for us who are already in and around Magento, to give us an opportunity to share experiences, but also to learn from one another. This makes Dutch market very interesting for both local and international companies looking to help online merchants grow their businesses. Historically, these businesses never shied away from testing new things so the future is looking good, especially with all the new places technology is enabling everyone to do commerce in. In addition to the “official” Magento stuff, there was an abundance of quality speeches and presentations, knowledge and experience sharing, interesting product pitches so everyone could find something interesting for themselves. OroCRM took the place by storm, following up on their presence at Imagine, as Jary Carter was accompanied by several other speakers who presented their views on the platform, and there were some of the core developers to speak to if you were interested in a more “behind the scenes” tour of this new CRM solution aimed for ecommerce. As I was also on the speakers list, presenting some tips and tricks around Managing Multi-team Magento Projects from our own experience, I was overlapping with quite a few interesting topics by some good friends, Ignacio Riesco who was talking about Magento B2B and dropshipping tools and Sherrie Rohde who shared some insights into Building Communities in eCommerce. These, and all other presentations have been made available by the organizers so you can check them out here. As for the photos, if you’d like to get a glimpse into the atmosphere, check out this official photo set on Flickr. The organization behind Meet Magento Netherlands is Dutchento, a local community lead by Guido Jansen, a congnitive pshychologist and Magento enthusiast (to avoid using another quite often misused “e” word) who is a well-known speaker showing up on many international Magento events. Of course, no man is an island, and there were plenty of people working hard behind the scenes to make this event happen, and they did a truly great job, so hats off to everyone involved – it shows that they have 6-year experience in putting these types of events together. Bicycles extravaganza – yes, we all know many people love their bikes and it’s fast becoming a healthier transportation choice in many European cities, but these guys take it to the next level. Orange (and green) – with the World Cup just around the corner, everything was turning orange, and the green comes from the sheer number of different plants and flowers that can be seen (and bought) everywhere – from the airport to hotels to apartment buildings or plain tourist sights, the Dutch seem to enjoy their plants, and good for them! And there you have it, a quick recap of what was happening around Utrecht this May. If you were there, share your own thoughts, and if you haven’t, plan your trip to Meet Magento Netherlands 2015! thanks for your comment and for attending my talk over at MMNL – I’m glad you found it useful and that you recognized yourselves in some of those situations. This is exactly what these events are for – yes, you can read about some challenges other companies like yours is experiencing, but it’s very different if you have that personal touch and can actually share some things face to face. I know we benefited a lot from some of the advice we got on similar events as we were growing. And I had a nice time in the Netherlands – it was my first time there and it would be great to visit again soon. If you have any plans to visit Croatia, let us know! All the best with your Magento adventure! I attended your talk on Meet Magento together with my business partner and really liked what you had to say. We recognized a lot of problems and situations you mentioned, but it feels like a good thing now – since Inchoo is doing so well. I liked the part where you mentioned that the client at some points feels like their project is out of control in particular. We always find ourselves in that moment at some point (especially when the project is going well and we are on schedule) but always thought this was a complication only we experienced because of doing something wrong. We now know we should anticipate on it. Thanks for taking the effort to come to the Netherlands!